Every Tuesday night in the summer, the Wind River Hotel and Casino at the edge of town hosts a Native American Dance Experience. This event features a number of local dancers in full regalia, a variety of dance styles, and an emcee who will entertain and educate you. By the end of the exhibition, you’ll know the history behind the styles like the fancy dance and the hoop dance, you’ll understand a lot more about Northern Arapaho culture and history, and you will have joined in a dance yourself! Bring your camera, your sense of rhythm, and a willingness to jump in and hold hands. Learn even more by visiting the Northern Arapaho Experience Room in the Wind River Hotel & Casino lobby. 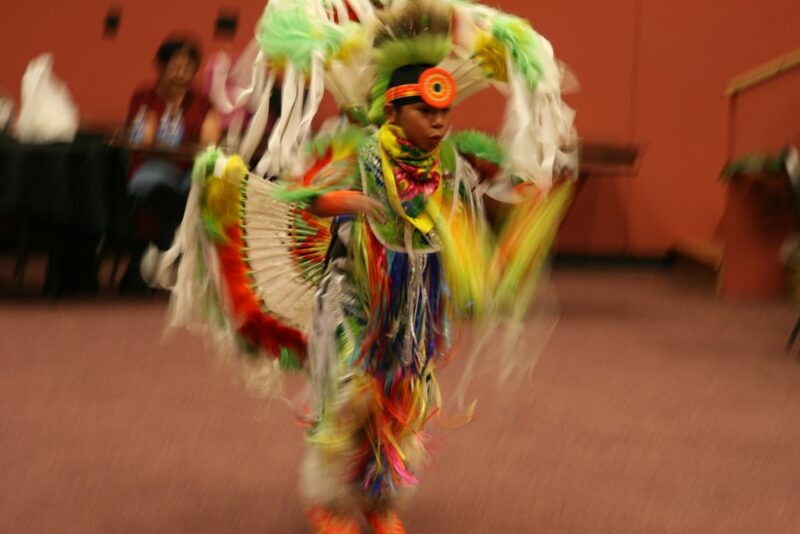 A young dancer in the Native American dance exhibition at the Wind River Hotel and Casino. Photo: Jennie Hutchinson. 2018 was the year of the inaugural Riverton Roasters Rendezvous, and it was a huge success. 2019 will only bring more brews, more seminars, and more fun. Be sure to pick up your tickets in advance and bring an appetite for treats to pair with your coffee samples. Riverton’s roots are in agriculture. You can see it in the fields surrounding town and in the Wrangler jeans walking up and down the sidewalks. You can also taste it. Dive into a local beef burger to fuel your adventure and satisfy your taste buds. Be sure to follow it with a fresh, locally made pastry from one of the shops on Main Street. 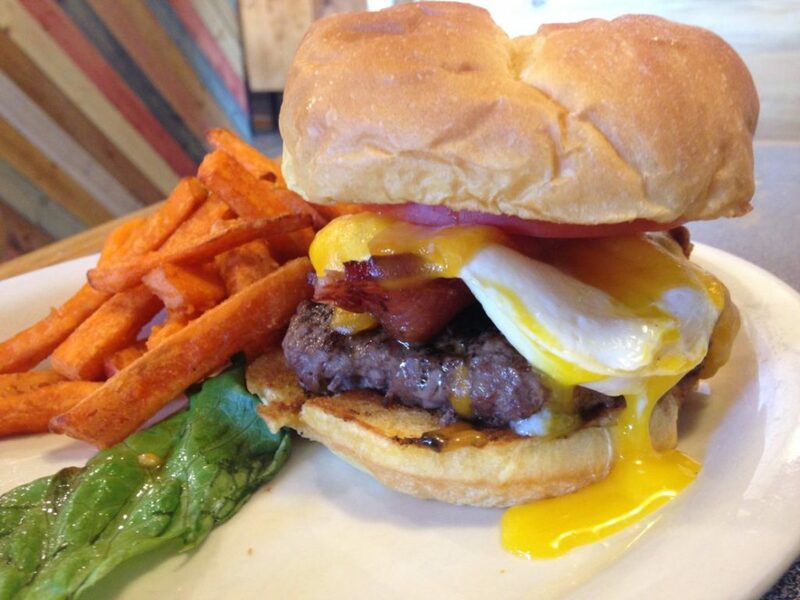 The brunch burger at Trailhead Restaurant. If the views of the Wind River Mountains weren’t already stunning enough from the ground in Riverton, step into the basket to see them—and more of the Riverton area—from the sky. Riverton hosts a hot air balloon rally each summer as part of the larger Riverton Rendezvous celebration that runs for weeks. Be sure to plan your time in Wind River Country to include this opportunity to watch balloons float above the Wind River. Watch the balloons launch or ride a tethered balloon this summer. The Wind River Heritage Museum will surprise you. The doors to the large structure open up to a spacious room filled with scenes of wildlife, most of which was preserved by local taxidermist and mountain man Jake Korell. Ask about what you see, and you’ll not only get an education about the creatures but also stories from the local curator. Deeper in the museum you’ll find a surprising number of wax figures. The wax museum is dedicated to the history of the broader Rocky Mountain West, with a few extras thrown in. Stroll through and see who you recognize, then head down to the 1838 Mountain Man Rendezvous grounds to walk in these characters’ footsteps.